This Working at Height online training course (approved by the RoSPA) is aimed at anyone who undertakes work at height, or who employs people who regularly work at height. 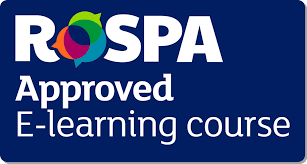 The Working at Height e-learning course (approved by the RoSPA) costs £24 per individual candidate. What other types of Safely working at height courses are available? At ABTAC we pride ourself on ensuring that each private course we provide is tailored to your employees needs, ensuring that the course is as relevant as possible. Are you a training provider who wants to provide accident investigation training? Why not take advantage of our knowledge and let us provide training under your branding.